SUPERNYLGUT® sets: enjoy your playing with a superb new look and a better sound performance. 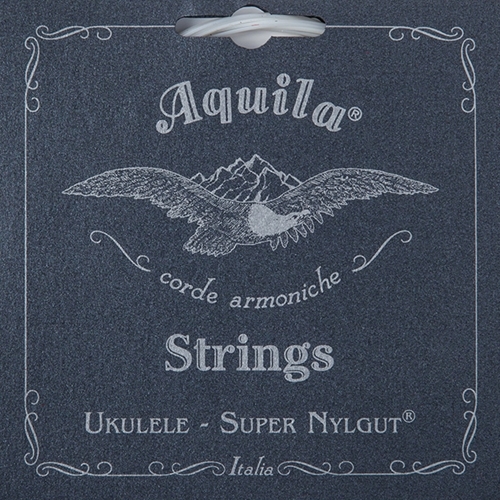 We are proud to launch the upgraded version of our famous Nylgut® strings: the Supernylgut ukulele string have a charming natural pearl color and a very smooth and polished surface feels like wax. So pleasant for your eyes and for your fingers! They are also less stretchy than any previous Nylgut® version , this resulting in a faster setting to proper tune when new and in a tendency of easily maintaining the intonation when reached. On top of this, Supernylgut is stronger and does not suffer from sharp edges of the nuts, marks from frets or hard nail playing. And you can get all these upgrades together with the wonderful richness of tone which made our Nylgut® a success! Amazing!